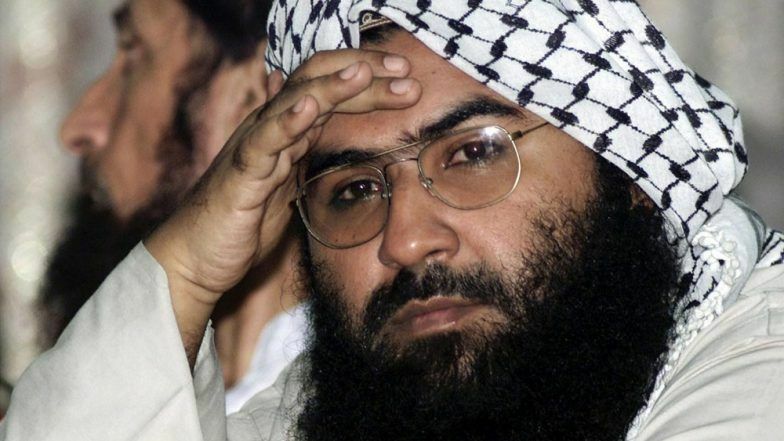 Washington, February 28: Amid escalating tension between India and Pakistan after the Pulwama attack, the United States, France and the United Kingdom on Wednesday asked the UN Security Council to blacklist Jaish-e-Mohammed (JeM) chief Masood Azhar, which would subject him to a global travel ban and assets freeze. It is the third attempt to put Masood Azhar on the UN terror blacklist. However, China is likely to oppose the move. The United States, Britain and France have asked the 15-member Security Council sanctions committee to subject Azhar to an arms embargo, global travel ban and asset freeze, according to a report of Reuters. Member countries can raise objections to the move by March 13. "Our efforts are focused on countering terrorism and we are working with many global partners in pursuit of that objective," India's UN Ambassador Syed Akbaruddin told Reuters. After Imran Khan's Pitch For Talks, India Hands Over Dossier to Pakistan With Details of JeM Role in Pulwama Attack. The Security Council condemned the February 14 attack in a statement last week after several hours of delays by China. Beijing didn't want any mention of JeM. However, the statement later mentioned that JeM has claimed responsibility for the Pulwama attack. China has twice blocked — in 2016 and 2017 — attempts to impose sanctions on Masood Azhar. Pakistan Does a U-Turn, Now Says 'Only 1 IAF Pilot In Custody'. India's Ministry of External Affairs on Wednesday said that the Air Force chased away intruding Pakistani jetfighters in Kashmir, shooting down an F-16 that fell on the Pakistani-controlled side, while an Indian MiG-21 was lost in action. Pakistan, however, said it had shot down the plane, which crashed in its territory, and displayed an Indian Air Force personnel it had captured. On Tuesday, Indian Air Force bombed a JeM training camp in Balakot in Pakistan, 12 days after a suicide bomber killed more than 40 Central Reserve Police Force troopers. Pakistan-based JeM admitted to carrying out the attack.